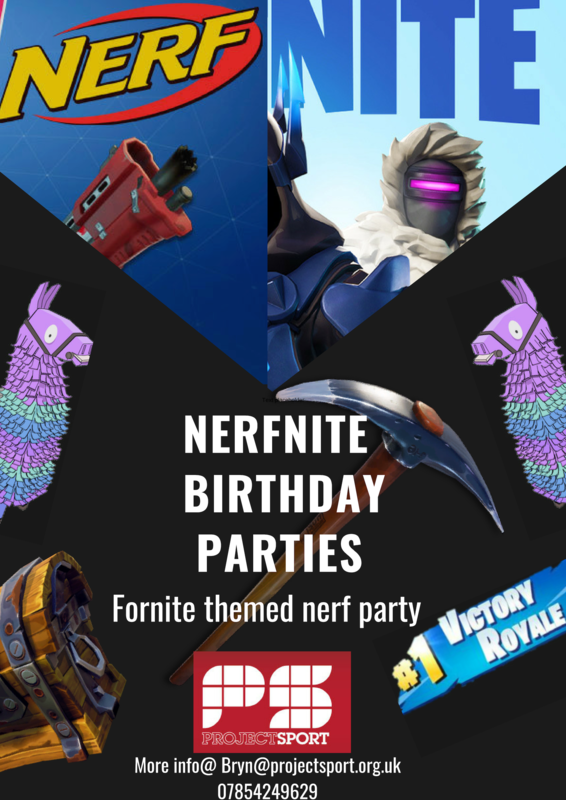 2019 kicks off in style here at Project Sport LTD.
All new Nerfnite, Project Sport brings to you nerf parties with the very popular Fornite theme. The craze for Fortnite started in 2017 and continues to grow. 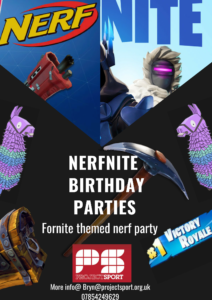 Our nerf gun parties have now taken a Fornite twist with Fornite type decor, games and prizes. Future stars continues to expand, and has welcomed several new nurseries, pre schools and school in 2018 and we hope in 2019 won’t be any different. Our future stars specialists Joe Peake and Chris Atkinson are continuing to research and develop future stars to make sure Project Sport are delivering a great service. Project Sport continue to find new drills and ways to develop key motor-skills as well as develop social skills.